Last week I went to Cincinnati for the launch of the countdown to the 2012 World Choir Games, which will be held there next year from July 4-14. This event is referred to as the Olympics of choral music and is held every two years. This is the first time an American city has hosted the event and it will be the most significant arts event ever held in Cincinnati, bringing 20,000 participants and tens of thousands of visitors from more than 70 countries to the city. 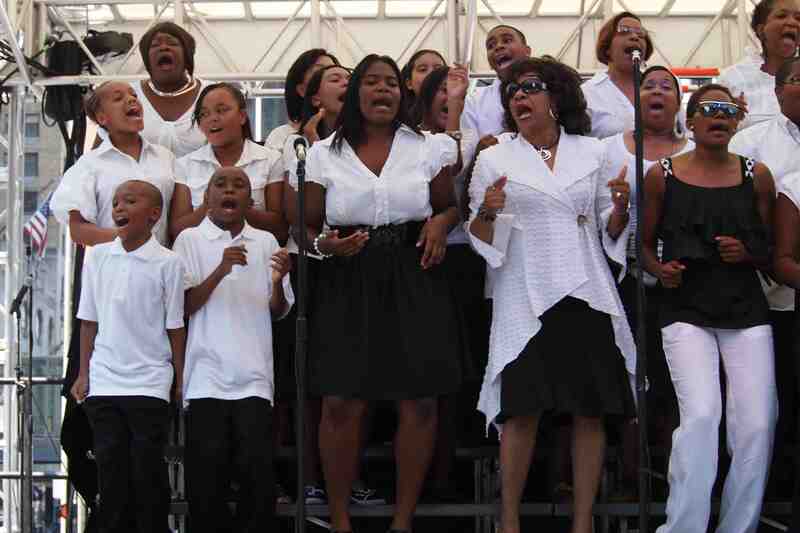 Cincinnati's Citywide Mass Choir performs at World Choir Games countdown launch. Twenty cities were in the running to host the games during the two-year bid process. Among US cities vying for a chance to host the competition were St. Louis, Reno, New York City, Los Angeles, and Chicago. One reason Cincinnati was selected was the fact that it has a number of suitable venues for hosting performances. 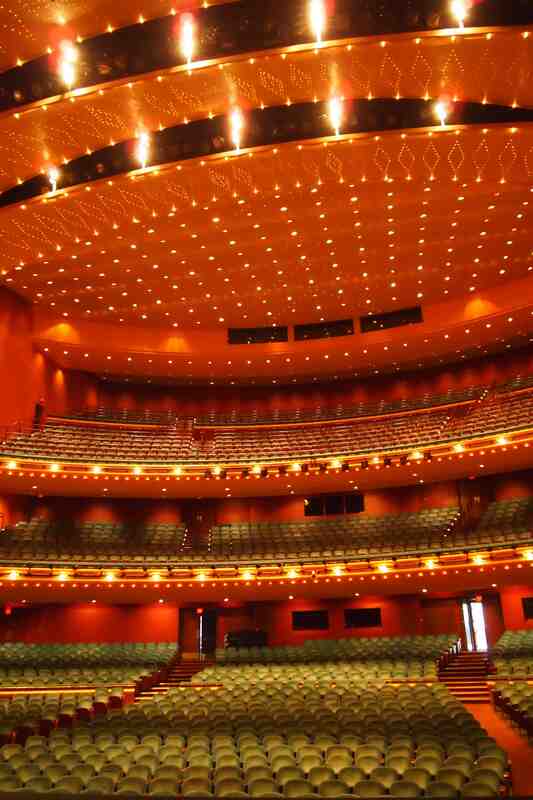 Cincinnati's Arnoff Center, one possible venue for the World Choir Games. Among other interesting Cincinnati facts I learned that the city with a strong German heritage and longstanding tradition of choral music. It was the first US city to hold a municipal song festival—Saengerfest, and is also home to the May Festival, the oldest running choral music festival. Before my visit, Cincinnati was not really on my radar as a musical city, but I found out that support for the arts, and in particular music, is very strong in Cincinnati. Highlights of my tour included visiting venues that may host Choir Games performances, several of the city’s many museums, and The School for the Creative and Performing Arts, a state-of-the-art magnet school for grades K-12. I look forward to returning to Cincinnati next year for the World Choir Games. I was inspired to start a blog about musical happenings in cities around the US after a media tour of Southwestern Louisiana, birthplace to both Cajun and zydeco music and a super place to hear those genres live. It seemed like everywhere we went there was live music and dancing! Our tour was focused around Lafayette’s annual Festival International de Louisiane held in late April. 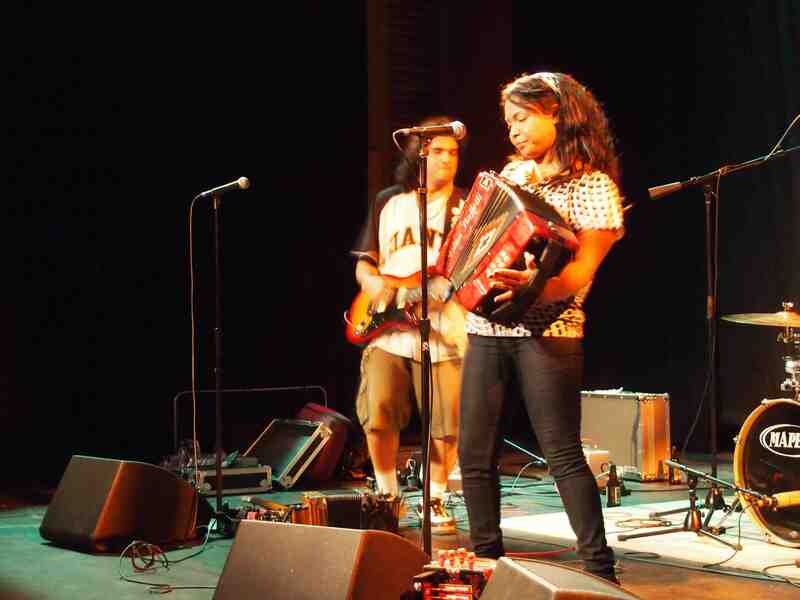 The festival hosts performances of fantastic world musicians and local acts on four stages right in downtown Lafayette. This festival has a great feel to it—it’s friendly, free, and safe, and people of all ages were enjoying the music. Some of the memorable acts that I saw were local bands Rosie Ledet & the Zydeco Playboys and Lil’ Nathan & the Zydeco Experience. 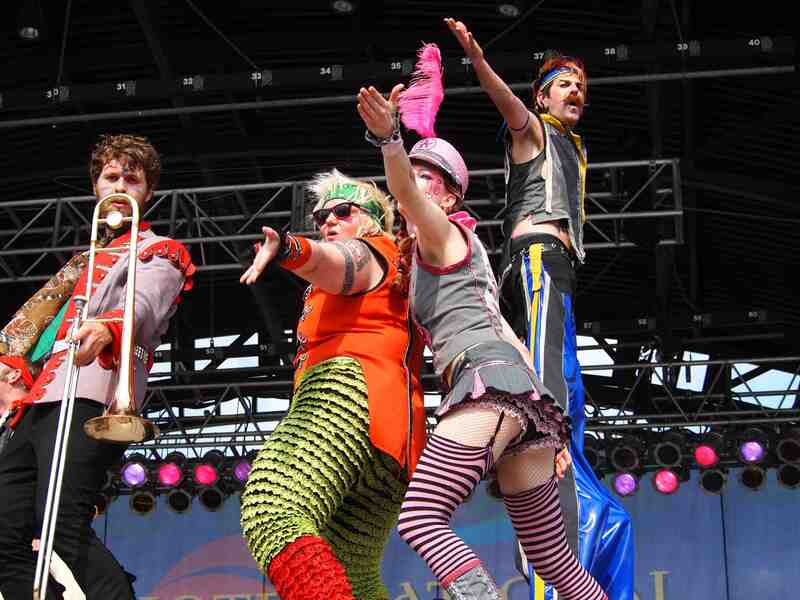 Plus there were international and national acts like Red Baraat, Umalali, Toubab Krewe, and the MarchFourth Marching Band, performing on four different stages. 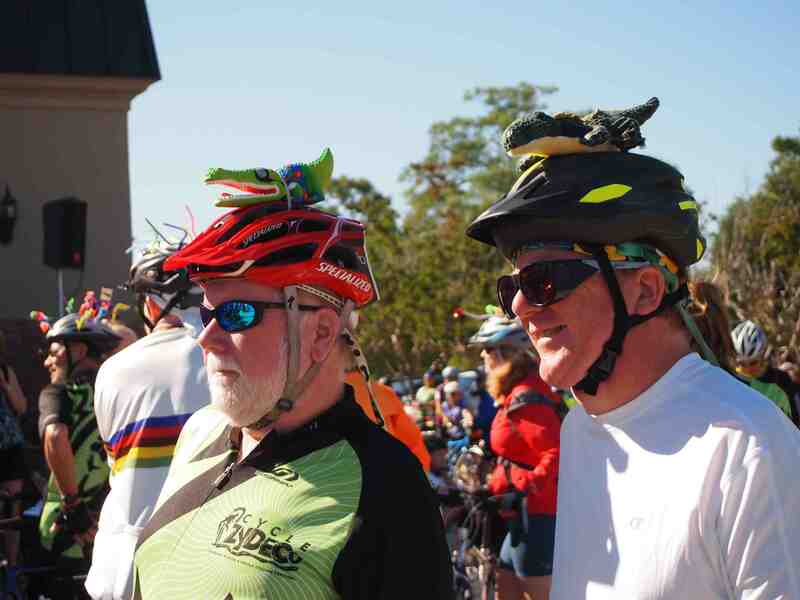 To celebrate the festival, cyclists from around the country gather each year for the zydeco tour, which circles Lafayette through some of the finest music making land and the birthplace of Cajun and zydeco music. Of course there are great local food stops and live music along the way. We watched the tour begin and then caught up with the bikers at the famous Evangeline Oak and St. Martinsville for food and live zydeco music. Cycle zydeco riders from Kansas City. I saw many live music venues during my visit. At Café Des Amis in Breaux Bridge patrons line up as early as 7:00 am for a place at the Zydeco Breakfast. Once the music starts to play people start dancing on the floor until it is literally shaking. Lil' Pookie & the Zydeco Sensations at Café Des Amis. 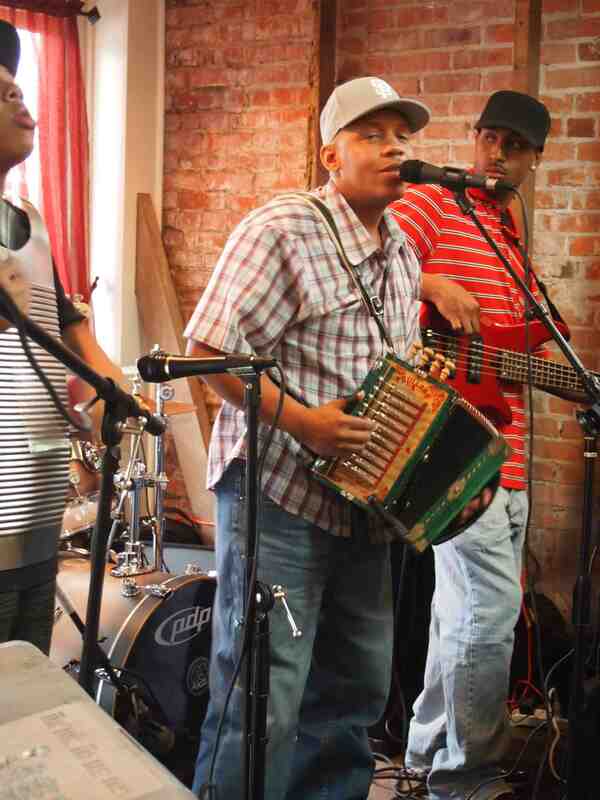 Nearly every venue we visited from Randol’s Cajun Restaurant to the Blue Dog Café featured live zydeco or Cajun music. I enjoyed talking to and photographing all the musicians who were both passionate about their music and friendly. 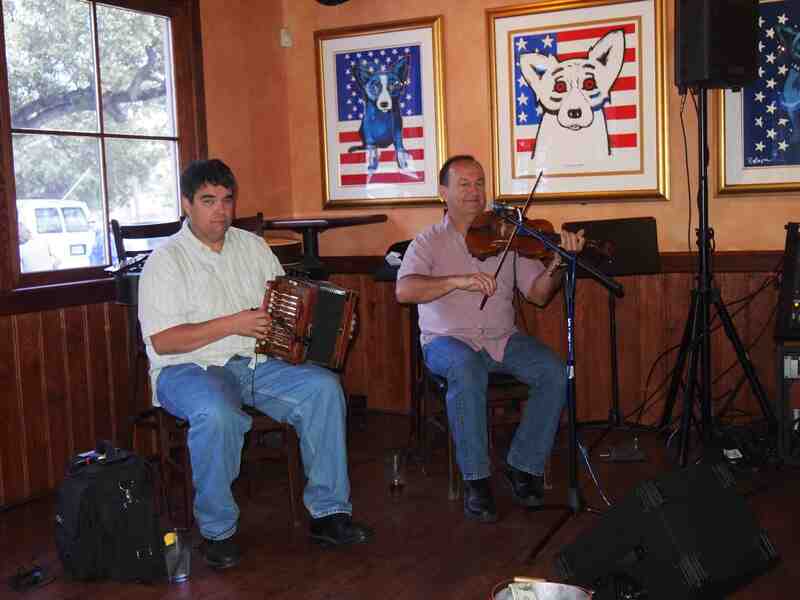 Cajun musicians at Blue Dog Café.